Summary. The elements of pedagogical activities of physical education teacher have been singled out in the article. Pedagogical and psychological competence have been defined and characterized for the efficiency of pedagogical activities. The constituents of professional activity of physical education teacher have been singled out, namely, pedagogical skills and individual capabilities, scientific-pedagogical qualities. Professional competence of teacher-formed of different components of pedagogical activities and pedagogical communication, integrative properties of his personality-characterize pedagogical and subject knowledge, professional abilities and skills, personality experience, orientation on perspective in-process, openness in relation to a capture new knowledge, confidence in a soba and ability to arrive at positive professional results. A pedagogical competence is totality of theoretical knowledge, practical skills, relations, experience, teacher’s personal qualities giving possibility to carry out searching activity, independently to obtain new knowledge, analyse activity of participants of educational-educator process, to make decision. One of important aspects of understanding competence is one’s evaluation-view orientation in the world, where man’s abilities of giving qualifying judgments are taken into account to make acceptable decisions in problematic situations, to plan and to carry out to the action end-point of that there is a successful achievement of the put aims. Key words: teacher, physical education, pedagogical activities, competence. Putting a problem. Flexibility and non-standardization of thinking, adapting skills to speed changes in the life of modern school and social environment are essential for a modern teacher. It is possible only upon condition of a high level of a professional competence, availability of developed professional skills . Social realities in education are characterized by the direction for specialists competent in their field being informed professionally and pedagogically. In connection with this, pedagogical activity is considered to be an adequate and necessary condition of educational activities, elf-development and self-perfection of a physical education teacher. Besides, in the process of professional training of a PE teacher there arise quite enough questions of topical interest and their successful decision depends on pedagogical experience gained in previous years, s well as an active implementation of innovative approaches into the organization of the educational process. Differences between innovations in education and possibility of their practical implementation at present are still appreciable. Analysis of the latest investigations and publications. As scholar N. Volkova states, success of professional activities of a future teacher is defined by a high level of skill-fullness requiring theoretical knowledge and practical skills. Each of those skills is specific and is assessed only in the teacher’s professional work . Scholar S. Smirnov’s point of view is that teacher’s professionalism in his pedagogical activities is expressed in his abilities to see and formulate pedagogical tasks on the basis of pedagogical situations as well as to find optimal ways of their solving . In his works O. Pometun states that there is pedagogical communication for the teacher’s effective pedagogical activities. Education is impossible outside communication. Due to communication, it becomes factor of a man’s intellectual development . 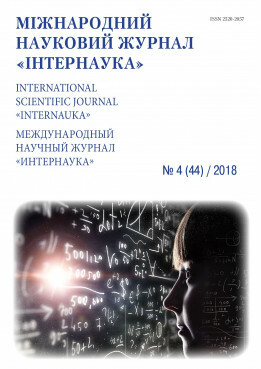 In L. Turishcheva’s point of view, for optimization of pedagogical communication in the teachers professional activities it is necessary to create conditions for forming a personality, to provide conditions for forming a personality, to provide a positive emotional climate, to conduct social-psychological processes by using teachers personal psychological processes by using teachers personal special features at the highest degree . The aim of investigation is to single out elements of pedagogical activities of a PE teacher after working scientific-methodical literature. Interpretation of the fundamental material of the investigation. We have defined and characterized the pedagogical and psychological competences and their components with the purpose of singling out elements of professional activities of physical education teacher, for their efficiency in the course of conducting lessons of physical education. skills in choosing methods for solving problematic situations at PE lessons in practice, in organizing role games, in doing psychological, pedagogical and educationally problematic tasks at the lessons in psychological-pedagogical subjects and sports subjects. Pedagogical competence is totality of theoretical knowledge, practical skills, attitude, experience and teacher’s personal qualities that are able to accomplish investigation, to acquire new knowledge independently, to analyze activities of participants in the educational process, to pass a resolution. in an educational situation that is constantly change, the essential quality of a future PE teacher is creativity as a way of existence in the profession, his skills to create new pedagogical reality on the level of values, content, forms and PE methods, necessary educational processes and systems. We can state that pedagogical competence is realized in combination with the subject and methodological one. Subject competence of a future PE teacher manifests it-self as theoretical and practical readiness to teaching sports subjects, as work at different sources of information in PE, as receiving necessary information, analysis, synthesis, its generalization and usage for teaching; the ability to present teaching material in a sufficient amount scientifically motivated presented consistently and logically. Methodological competence of a future PE teacher turns out to be in informativeness on the problems of physical education innovations, sports and mans health, pedagogy and psychology, on the problems of using various educational technologies and techniques of teaching, ways of organization of students work in class, on defining the aim and tasks of practical lessons, on being correct in choosing ways, methods, equipment for the realization of planned educational tasks, on defining leading psychological-pedagogical knowledge, skills that are essential to be formed for students at their practical lessons by using visual aids, various modern methods and forms of teaching. abilities to regulate ones own emotional states, to overcome critical pedagogical situations, etc. abilities to choose methods of psychological diagnosis of the development of children of different age and their environment. Lets see significant components of a PE teachers professional activities: pedagogical abilities and individual abilities, scientific-pedagogical qualities. Pedagogical abilities is a totality of a person’s pedagogical features, important for successful mastering of pedagogical activities, their effective realization . subsidiar (suggestive, investigative, scientificcagnitive, emotionalstability, observation, pedagogical optimism). We can state that pedagogical abilities of a future PE teacher are seen in: pedagogical imagination, psychological stability, professional ethics, suggestive and perceptive abilities, empathy, artisism, culture of language and communication, humanism enthusiasm for physical education and sports. In the opinion of scholars, individual abilities of a PE teacher include: creatve character of thinking, skills to reflect and assess professional situations, manifestation of initiative in doing tasks; realizing of personal responsibility for the results of the educational process (I. Bekh , I. Obles  and others). A number of scholars (N. Volkova , A. Konokh  and others) suggest attributing to pedagogical qualities of a PE teacher the following: professional ability to work; scientific search, pedagogical observation, high culture of language and speech. We attribute to professionally important qualities as a psychological component of professional activities of a PE teacher: moral, communicative including a pedagogical tact, volitional intellectual including perceptive qualities, mnemonic (pertaining to memory) and attentive (pertaining to attention), psycho-motor. We can state that communicative qualities (including communicative, good-will, politeness skills) help a PE teacher to make contact with his pupils in communication, in that way they contribute to a success in teachers educational work. They also include a pedagogical tact . It has been proved that volition skills (persistence, tolerance, insistence, determination, boldness, self-control) are of great importance for successful activities of a PE teacher. The schoolchildren (boys, in particular) respect the teacher who got what they wanted without compulsion and threats, also without pedantry. An unreserved teacher fails to do educational work with the children, without being an authority . Intellectual qualities support teachers pedagogical skills, help him to find correct decisions in educational work, to stipulate efficiency of teachers creativity, his search for new ways in teaching his pupils. These qualities include: clarity and logic of thinking, criticism, imagination, wittiness. Effectiveness of thinking plays a special role in PE teachers activities, that characterized teachers ability to quickly find optimal decisions of pedagogical situations . It has been defined that intellectual qualities are based on perceptive and attentive qualities characterizing qualities of perception and attention. It helps the PE teacher to find his way in the situations being constantly changed. Allocation of attention is of essential importance. At the same time the teacher must supervise numerous objects and moments of this activities, namely, to observe the content and form of presenting his material, of the quality of exercises he demonstrates of comprehension of explanations he presents of his mimics, motions, meanwhile to constantly observe the whole class . It is important not to interrupt the course of demonstration, explanation, doing an excise, the teacher must transfer his influence on the pupils (e.g. he can make a reproof to the disturber of discipline or after finishing demonstration of exercise to explain pupils mistakes).In its turn, it requires form the teachers a good short-lived memory not to forget to tell the pupil the time of finishing the exercise or a fragment of the lesson. It is that fact connected with speed and strength of remembering. Psycho-motor qualities are essential for a PE-teacher. A lot of exercises the teacher must show to this pupils demand big physical strength, flexibility, speed of reaction. With aging, physical qualities have a tendency of regressing, that is why the teacher should constantly take care of supporting them on an adequate level and that is connected with keeping a motive regime, a food regime, with taking care of his health . Thus, professional competence of a teacher is the formation of different components of his pedagogical activities, pedagogical communication, integrating characteristic of his personality that characterizes psychological-pedagogical and subject knowledge, professional skills, personal experience, directness to perspective in his work, openness as to acquiring positive professional results. be able to rouse pupils and develop their stable interest in the speciality they have chosen, in the subject they study . One of the essential aspects of competence understanding is its directness to assessment and world outlook where man’s ability to give qualified judgements is taken into account, as well as to take appropriate decision in problematic situations, to plan and accomplish actions hose finite result is successful attainment of put up aims. Contribution and perspectives of further research. In the result of working out scientific-methodical literature there have been singled out elements of pedagogical activities of a PE teacher, namely, methods, means, creative tasks, interactive technologies and forms. The efficiency of professional activities of a teacher depends on forming various components of pedagogical communication, integrative characteristics of his personality characterizing psychological, pedagogical, methodical and subject knowledge, professional skills, personal experience, directness to perspectives in work, openness in acquiring new knowledge, self-confidence and ability to achieve positive professional results. Under the definition of elements of pedagogical activities one understands totality of certain characteristics of a PE teachers personality having a high level of professional readiness and effective interaction with pupils in an educational environment. Бех І. Д. Виховання особистості: у 2 кн. Кн. 2. Особистісно-орієнтований підхід : монографія / І. Бех. – К. : Либідь. – 2003. – 344 с.
Волкова Н. П. Професійно-педагогічна комунікація: теорія, технологія, практика: монографія / Н. П. Волкова. – Дніпропетровськ: Дніпропетровський нац. ун-т, 2005. – 301 с.
Гуманітарна педагогічна парадигма вищої освіти : монографія / ред. колегія: В. Кремінь, В. Андрущенко [та ін.]. – К. : Пед. думка, 2007. – 333 с.
Ковальчук Л. Основи педагогічної майстерності : навч. посіб. / Л. Ковальчук. – Львів : Видавничий центр ЛНУ імені Івана Франка, 2007. – 608 с.
Конох А. П. Сутність та структура професійно-педагогічної компетентності як найвищого рівня педагогічної майстерності / А. П. Конох // Педагогіка, психологія та медико-біологічні проблеми фізичного виховання і спорту : наук. журнал / голов. ред. Єрмаков С. С. – 2004. – № 12. – С. 20–28. Облєс І. І. Особливості підготовки педагога вищої школи до майбутньої професійної діяльності / І. І. Облєс // Теорія та практика педагогіки життєтворчості : матеріали міжрегіональної науково-практичної конференції, м. Запоріжжя, 29-30 березня 2007р. / за заг. ред. К. Крутій, А. Павленко. – Запоріжжя : ТОВ “ЛІПС” ЛТД, 2007. – С. 186–191. Пометун О. І. Компетентнісний підхід – найважливіший орієнтир розвитку сучасної освіти / О. І. Пометун // Рідна школа : журнал / голов. ред. А. В. Пугач. – 2005. – № 1. – С. 65–69. Римар Л. В. Формування професійної самосвідомості майбутніх учителів у процесі вивчення педагогічних дисциплін : автореф. дис. на здобуття наук. ступеня канд. пед. наук : спец. 13.00.01 “Загальна педагогіка та історія педагогіки” / Римар Л. В. – Київ : Нац. пед. ун-т ім. М. П. Драгоманова, 1999. – 20 с.
Сергєєва Л. Н. Управлінські навички молодшого спеціаліста: теорія та методика формування : монографія / за ред. С. О. Сисоєвої. – К. : Кадри, – С. 171–187. Смирнов С. Д. Педагогика и психология высшего образования : учеб. пособ. / С. Д. Смирнов. – 2-е изд., перераб. и доп. – М. : Издательский центр “Академия”, 2005. – 400 с.
Тимошенко О. В. Професійна підготовка майбутніх вчителів фізичної культури на основі програмно-цільової технології управління / О. В. Тимошенко // Фізичне виховання в школі : журнал / голов. ред. Т. М. Гранкіна. – 2008. – № 1. – С. 46–51. Туріщева Л. В. До питань про особливості особистості і педагогічної діяльності вчителя фізичної культури / Л. В. Туріщева // Теорія і методика фізичного виховання : наук.-метод. журнал / голов. ред. Шкребтій Ю. М.. – 2004. – № 3. – С. 4–6. Чепелюк А. В. Формування психолого-педагогічної компетентності майбутнього вчителя фізичної культури у вищому навчальному закладі: автореф. дис. … канд. пед. наук : 13.00.04 / Анна Вікторівна Чепелюк, Держ. прикордонна служба України, Нац. акад. Держ. прикордонної служби України ім. Б. Хмельницького. – Хмельницький : [Б.в. ], 2014. – 20 с.